Crab is a delicacy for many of us; however some hesitate to prepare this at home fearing the cleaning process involved! Actually, it is very simple once you start doing. Here is a step by step process of cleaning, especially for beginners! 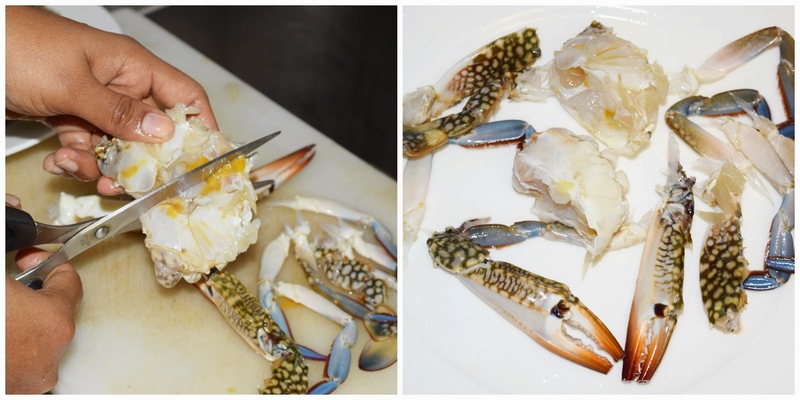 Turn the crab upside down and pull that remove the yellow spongy substance and discard. Then hold the legs and lower part of the body; pull the outer shell and discard. Pull the spongy gills from both ends and discard. Twist and pull the legs from both sides of the body and rinse thoroughly. Cut the sharp edges of the legs and trim the spikes in sides of the legs using knife or scissor. 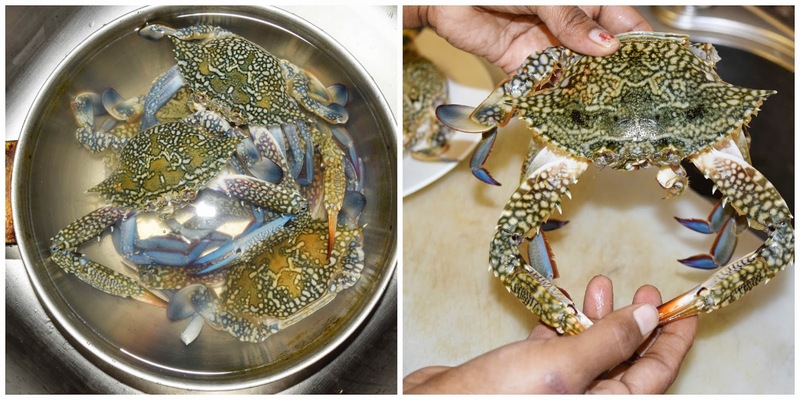 Cut the crab body into two pieces and rinse once again. Crab is ready to cook now! Thank you uncle and happy to see your comment in my blog. Very neatly explained, thanks for sharing this post. Ippo I'm craving for nandu kuzhambu!